Whenever I have been in the Galleria market, Gurgaon, I always thought of trying Uptown Fresh Beer Cafe. So, I finally gave this place a try with some friends and wondered why didn't I try this place sooner because I simply loved it. We ordered the following their pitcher of German Wheat Beer which was sufficient for 3 people. It is a light beer which has mild flavours of clove and raw banana. I am a fan of mild beers so I truly enjoyed this one. We ordered their meat Platter which consists of three considerable pieces of grilled chicken, grilled lamb chop and grilled pork chop each served with sauteed vegetables and pepper sauce. Everything was flavourful including the sauteed vegetables. A special mention to the pepper sauce as it complemented everything. I couldn't resist myself from refilling my plate with their pepper sauce. We also ordered their Italian Mafia Pizza which has salami, pepperoni and ham. 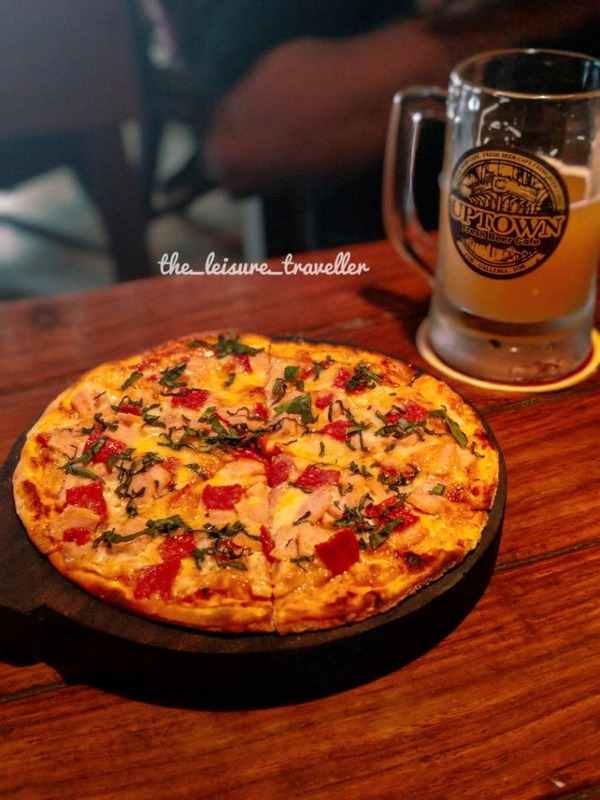 It is a thin crust pizza and like other items, their pizza also tasted delectable. In all, it is a must-visit place. The service here is slow but I still give this place 5 stars because their food and beer were extremely fresh and amazing.